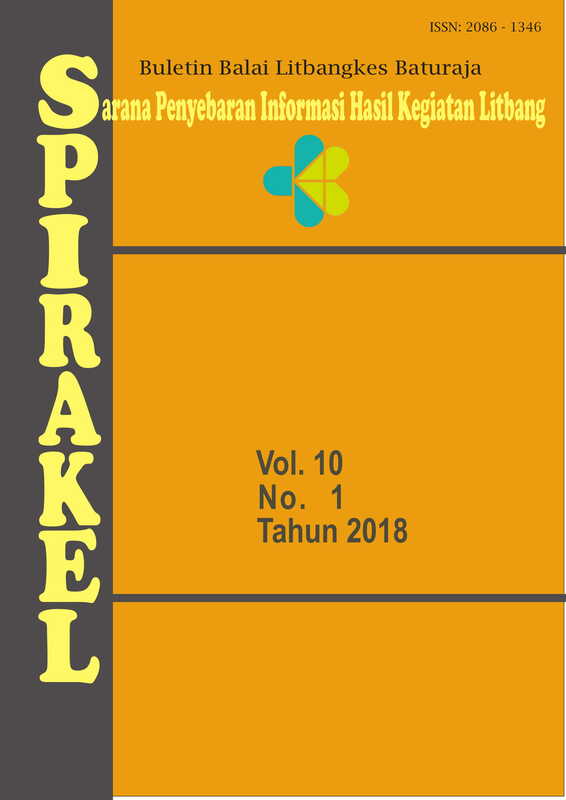 SPIRAKEL is a journal published by Balai Penelitian dan Pengembangan Kesehatan Baturaja, Badan Penelitian dan Pengembangan Kesehatan (National Institute of Health Research and Development), Ministry of Health of Republic Indonesia. SPIRAKEL carried an article which has not been published in other journals. The research article submitted to this journal will be peer-reviewed at least 2 (two) reviewers. The accepted research articles will be available online following the journal peer-reviewing process. The decision of accepted article is the authority of editor-in-chief with regard from editorial board. This journal uses double-blind review, which means that both the reviewer and author identities are concealed from the reviewers throughout the review process. SPIRAKEL published twice a year (June and December), first edition of publication in 2009.